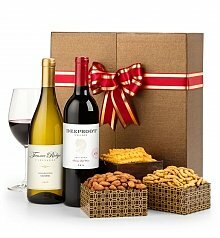 One of our most popular personalization additions to our gift baskets is our hand-tied satin personalized ribbon. 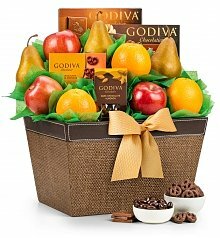 When your gift is revealed, a beautiful satin bow is tied around the basket, and it's imprinted with your very own personal message. 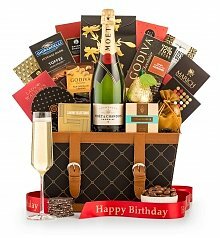 You can send your greeting, like Happy Birthday or Thank You, Congratulations, or I love You. 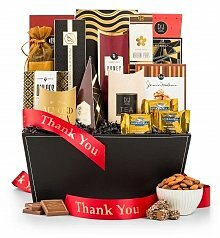 We believe that personalized ribbon elevates the gift to even greater heights. 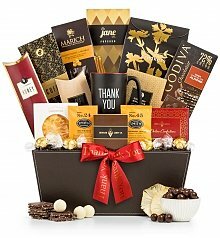 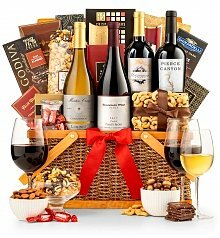 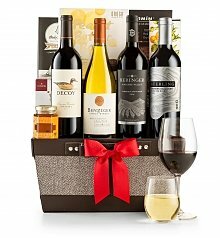 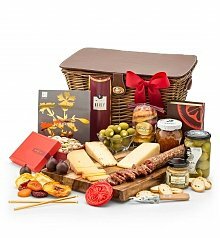 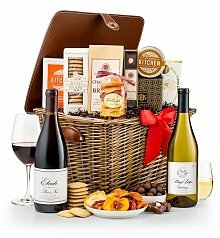 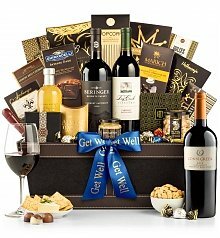 A gift basket is generous all in itself, and with the addition of a personalized ribbon, it transforms a nice gift into an outstanding offering. 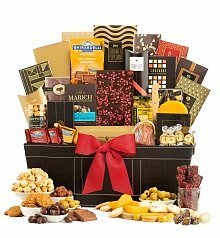 Explore our collection of gift baskets that offer personalized ribbon! 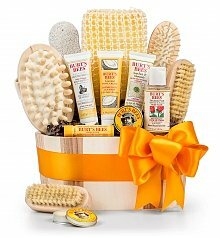 You'll find that nearly every GiftTree gift basket offers that capability. 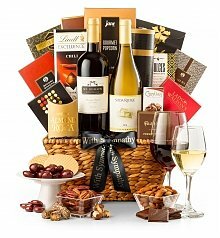 We invite you to take advantage of our easy checkout process, same day personalization and fast shipping. 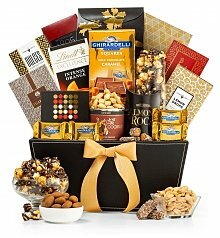 You'll be leaving a lasting impression on any occasion.